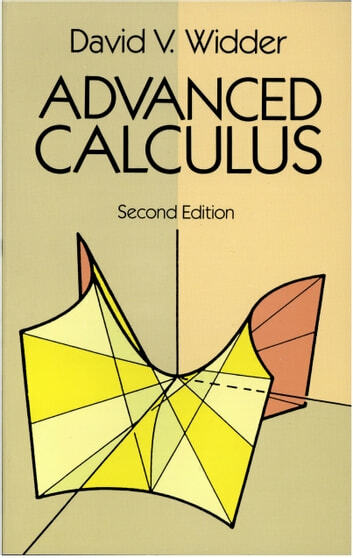 This classic text by a distinguished mathematician and former Professor of Mathematics at Harvard University, leads students familiar with elementary calculus into confronting and solving more theoretical problems of advanced calculus. 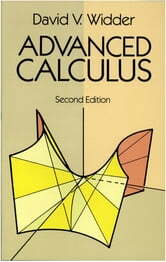 In his preface to the first edition, Professor Widder also recommends various ways the book may be used as a text in both applied mathematics and engineering. Believing that clarity of exposition depends largely on precision of statement, the author has taken pains to state exactly what is to be proved in every case. Each section consists of definitions, theorems, proofs, examples and exercises. An effort has been made to make the statement of each theorem so concise that the student can see at a glance the essential hypotheses and conclusions. Riemann integral. In addition the material on series has been augmented by the inclusion of the method of partial summation of the Schwarz-Holder inequalities, and of additional results about power series. Carefully selected exercises, graded in difficulty, are found in abundance throughout the book; answers to many of them are contained in a final section.